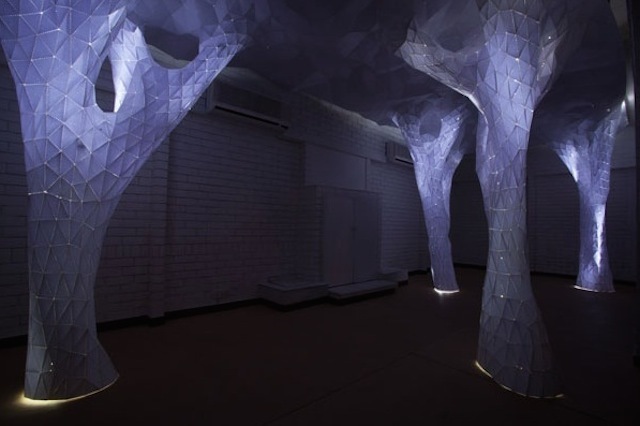 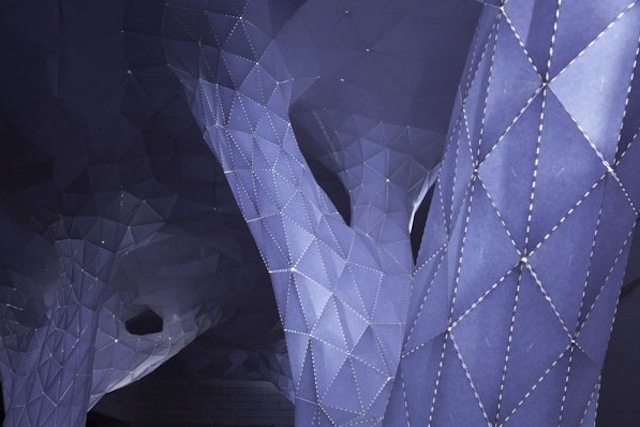 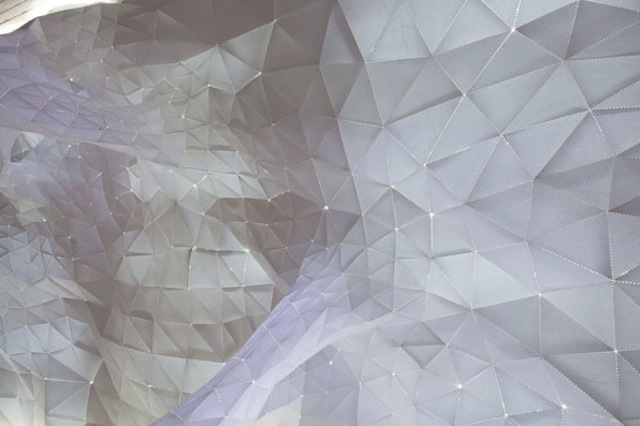 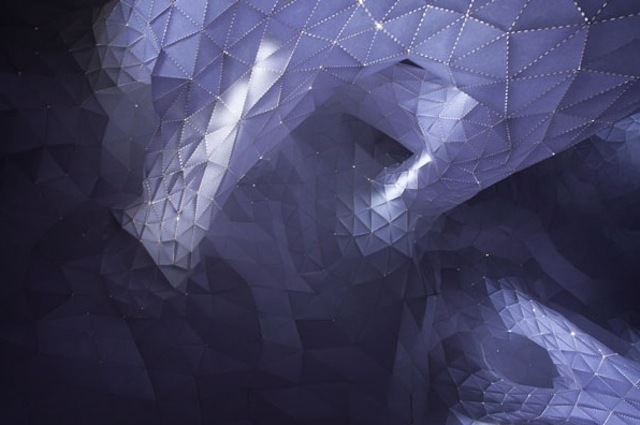 Selected for A’Design Awards & Competition 2015, Vana is an immersive installation, directly inspired by nature. 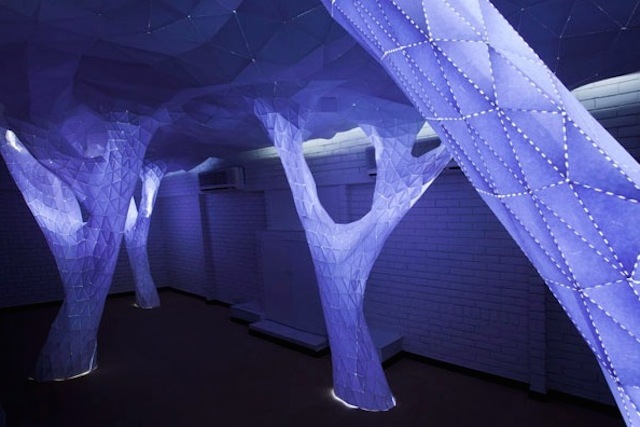 Suspended from the ceiling, the blue system deploys in the room by illuminated pillars reminiscent of tree trunks. 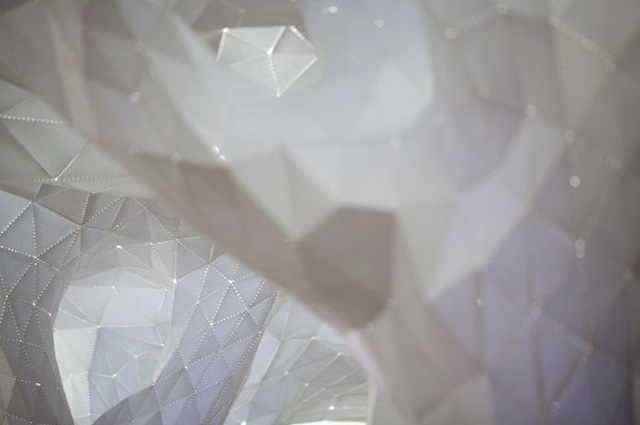 A project by Orproject, to discover.